Home » My Blog » An Anaesthetic called ‘Sherry’. 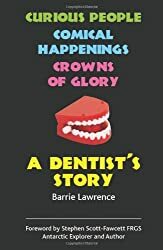 Barrie November 14, 2018	My Blog Comments Off on An Anaesthetic called ‘Sherry’. This rather unusual story is taken from the Introduction to PATIENTS FROM HEAVEN. I think you will enjoy it! Clara’s heart was pounding. She started to break out into a cold sweat as she stood outside the big blue door – again. She had come this far before, perhaps four or five times during the previous so many months, and now she stood there again. “Go on. Ring the bell, or just go in like it says,” said her companion, placing one hand on her arm and offering a weak smile. But Clara felt paralysed – paralysed with fear to the extent that she could not even reply. “Let me,” said her companion, and as Clara tried to find the strength to say “No,” a hand reached out and pressed the bell-push. This must have been the fifth time Clara had had this encounter, and again she felt unable to utter a word. Especially this time. Clara was petrified, having had several days of deep debilitating pain, and memories of a terrifying experience at the hands of a previous dentist. Clara would have described her last dentist as ‘a dentist from hell’ and subsequent dentists might have described Clara as a ‘patient from hell’. But within 45 minutes, she was walking away from the practice with a smile, albeit a lop-sided smile, on her face, having had the offending impacted wisdom tooth extracted under a local anaesthetic. And a potential ‘patient from hell’ had become a ‘patient from heaven’, attending every six months and, following my retirement, continuing to send me Christmas cards and bringing me up to date with family news! What a transformation! So what exactly had happened to Clara? “Mrs. Murphy – the very nervous lady you sometimes see at the front door – she’s here again, Mr. Lawrence. And she’s got her friend with her as usual,” said Daphne, my receptionist. Poor Clara! Some months earlier I had been to speak at a Women’s Fellowship meeting at Meadow Way Chapel on the northern side of Norwich. My subject had been ‘Looking Down in the Mouth’ and the ladies had laughed at my stories of training to be a dentist, and of amusing incidents during my subsequent career. Clara had approached me – well, crept up to me, really – at the end of the meeting, and asked where my surgery was. And then she had waited until she was in pain, and had telephoned the practice to ask for an appointment. However, she had also said that she might lose her nerve and not even reach the practice, and so the receptionist had suggested that she speak to me on the telephone first. “Why not come to the front door of the practice, and we’ll just say ‘Hello’ to each other?” was my suggestion, and we arranged a time. Clara, plus companion, had duly turned up, come to the front door where, after a brief “Hello Mrs. Murphy. How nice to see you!” she had turned and walked briskly down the road to where her friend’s car awaited them. This procedure was repeated twice over the following two or three months, and then we moved forward a little. “Hello Mrs. Murphy. Really good to see you!” I said to the trembling lady on the doorstep, and extended my hand. She stared at it, looked up at me, hesitated and then shook my hand very briefly, before scuttling off towards her friend’s car. Then around three weeks later we did it again. Which brings us to Clara Murphy standing outside the big blue door, having had three days without sleep because of severe toothache, and almost paralysed with fear. Clara looked at her companion, who nodded and smiled, and for the first time, she stepped through the door and followed me to my office. There was a ‘coal effect’ fire with wood surround, and I sat Clara and her companion in chairs beside it and put the kettle on. With a little help from her friend, Clara came through the door from my office into the surgery, sat in the chair and let me examine and X-ray the offending, infected, impacted lower wisdom tooth. She continued to sit there as I gave three very gentle injections to numb the tooth, and the outside and inside gum. Within ten minutes, the tooth was out and Clara was biting on some gauze to stop the bleeding. “How much does she owe you?” enquired her companion, and Clara nodded vigorously whilst continuing to clench on the gauze. I felt that Clara was a lady on a fairly modest income – in fact, I suspected that life in many ways had not been kind to Clara. I winked at her friend who was staring at me open-mouthed, and suggested she help Clara back downstairs where I would like her to sign one of our National Health Service forms. I also invited her to return in a week or two, so that I could answer any questions she might have and make sure the socket healed uneventfully. Clara came back every six months after that, and she had fillings when necessary – but she never had another sherry. Well, not at the practice, anyway! Moreover, three decades later, and having been retired for seven years now, we still exchange Christmas cards every December. 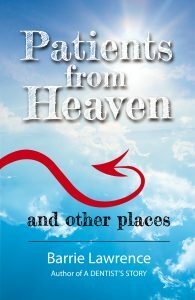 Patients from heaven! Most dentists have ‘patients from heaven’; they attend every six months and never forget an appointment, they come in with a smile and are cheerful and brief when asked how they are – and they pay on the way out! But many of our patients do not fit that stereotype. Indeed, I myself am a patient, and just how succinct am I when my dentist friend Jim asks me how I am? The nervous patient cannot really help being nervous, and the person who is habitually late for absolutely every appointment they’ve ever had, will inevitably be late for their dental appointment too. Such failings may seem inexcusable to some – in fact, they probably are – but such is life and such are people, and only the sinless are qualified to cast the first stone. 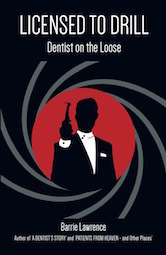 As a dentist, I had between thirty and forty patients a day pass through my surgery for the best part of forty years. 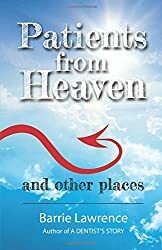 Some were ‘patients from heaven’, but many could be described in other terms. How about the lady who took up thirty minutes of my time, asking me to justify every tiny item of the modest National Health Service (NHS) fee she would be required to pay for her treatment, and then informed me that she would give it her consideration as she swanned around the South China Sea on a yacht for the following two months or so? And there was the undertaker who always parked (but it looked more like ‘abandoned’) his hearse in the centre of my small car park? There was also the gentleman who totally ‘lost it’ and repeatedly screamed, “I’m dying, dying. Bury me in Bombay!” to the alarm of most people within earshot, and especially those in my waiting room. Which brings me to my faith, of course. 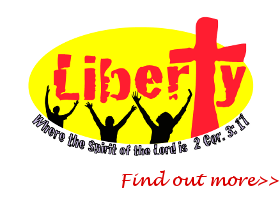 I am a practising Christian, and my faith is central to my life and has determined my worldview. Am I talking about believing, going to church and doing good? Yes (by the grace of God, again), but when I accepted Christ at the age of twenty-one, my whole life was changed, because He changed me. And when that happened, everything else changed too, including the way I see other people. 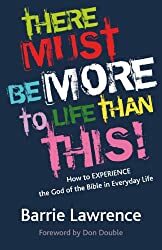 So those who could be described as patients from hell, can also be seen as patients from heaven – people who have emotions, sometimes struggle with relationships and finance or simply getting out of bed in the morning, and yet who have been created in the image of the God Who loves them. And finally, I am only too aware of my own shortcomings and idiosyncrasies, and can therefore understand if there are those who have chosen to see me as the dentist from hell, rather than the dentist from heaven. But I have always regarded the vast majority of my patients as my friends, and I thank God for them as I now proceed to introduce you to some of those who will forever be unforgettable to me. I enjoyed knowing them (most of them) and I think you will enjoy them too. Available from www.amazon.co.uk (UK) and www.amazon.com (North America) and all good book shops. 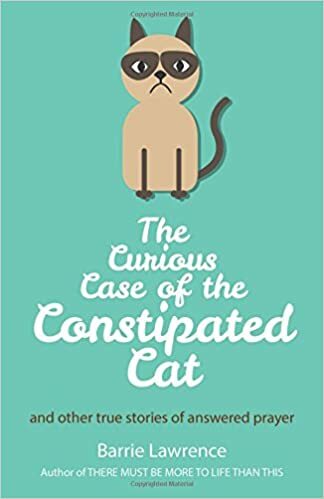 Previous That Curious Constipated Cat – The Introduction!